Broker’s Report, November 27, 2018 — The were many surprises in the Mammoth Lakes real estate world in 2018. Much of this has been covered in my bi-weekly newsletters but it is a great time to look back at what happened and see if there is some understanding as to where the market might go in 2019. 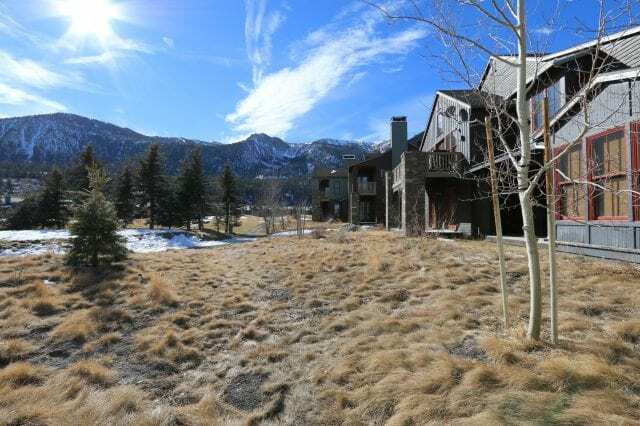 But two things remain very clear; the bulk of Mammoth’s market values are still approximately 70% of the 2006-07 peak values and although there is some new construction occurring, properties are generally selling below reproduction cost. And those replacement costs are only increasing. The real surprises include the very active market through last year’s end-of-the-year holidays and right through to May. This level of winter based business has not been the norm in the recent past. It also includes impressive sales activity in the higher-end residential market, especially in the second half of the year. And conversely, another surprise was the second half near-collapse of the low-end residential market. Also surprising is the strengthening influence of Airbnb on the local condo market, and values. The year was definitely defined by different segments of the market. And the prospects of a new condo hotel facility developed in the Village has come closer to reality than at any time in the past 10 years. And there were other surprises. 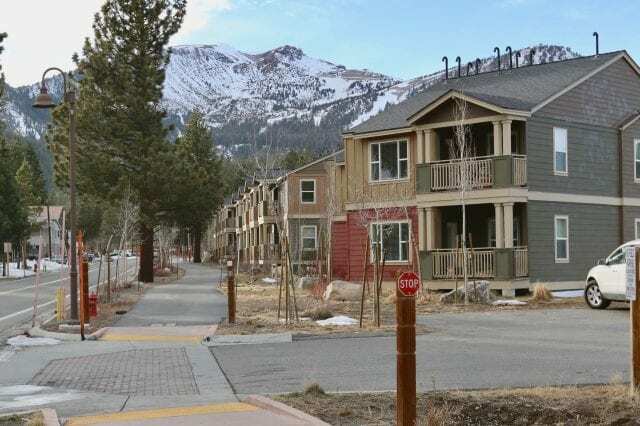 There are smaller, ongoing condo development projects happening in various locations in Mammoth. The most activity in the past 10 years. They include the 16 townhomes across from Canyon Lodge (Mountainside) being developed by John Hooper. Snowcreek Phase VII (aka Creekhouse) increased the development of new units as the “under construction” units sold quickly in 2018. Luxury units are being developed on Hillside Drive in the Village. And a small condo project is being developed in Sierra Valley (aka The Ghetto). Regardless of these newly developed properties, they are not filling the demand. Condo buyers are forced to continue looking at existing properties that have quality locations, great floor plans, low densities and views. All with an eye towards remodeling. Older properties that have been substantially remodeled have brought strong response from the market in 2018 in the form of upward pricing and relatively quick sales (and closings). Many of these condos go directly to some sort of short term (transient) rental scenario. Local contractors remain booked for remodeling projects that typically include new kitchens, bathrooms, windows, fireplace/heating systems, flooring and decor. And plenty of new technology including smart thermostats, wi-fi and software driven front door locks, exterior web cams and plenty more (this is just the beginning). And again, in the condo segment many of the new owners are remodeling with a nightly rental aesthetic and efficiency as a priority. It is all about marketing the property to potential guests and making sure they have a quality experience that garner the best online ratings. Ratings have consequences and good ratings don’t come with marginal properties. The Airbnb Effect has clearly raised the bar for nightly rental condos in Mammoth. The bar has also been raised for the businesses that service these nightly rental condos too. The Airbnb/VRBO rental programs and major local rental company acquisitions continue to drive new business arrangements. I am introduced to these new arrangements constantly. This will continue to evolve. Profit margins are being squeezed at many points and competition is taking new and diverse forms. The good news is that (so far) Mammoth has the support staff to turn the units around (clean and restock). Condo owners both new and old continue considering the various rental arrangements. Much of it is predicated on the owner’s desire and ability to be actively involved in the business. And I’m still anticipating that last year’s tax reform may change the ownership status of many Mammoth condo owners. Many “second home” condos may move to “rental” classification. That would be a nightly rental status. One thing that may make this especially attractive is an evolving strategy and attitude towards renting condos nightly. I’ll explain, and it really is perfectly Mammoth. This new direction for many condo owners is to rent, and use, but very strategically. Owners make their properties available for rental at select times; namely the high demand holiday periods (these winter periods coincide with the blackout dates of the Ikon Base Pass) and some extended stays in spring and perhaps summer. The strategy is to capture the premium rental revenue with the least amount of usage (and wear and tear.) They are also inclined to rent to “friends” at quieter periods or for extended stays. They seek to build some quality and reliable repeat clientele. It is quite an opposite strategy from the Airbnb zealots who want every night possible booked even if it is at a deeply discounted rate. The strategy also allows for owner usage during less crowded periods/weekends or when the ski and snowboard conditions are at their best. And of course these owners have to make their occasional “maintenance trips” to their rental. Mammoth condos and nightly rentals are tied at the hip more than ever. Surprisingly too has been the overall performance of the condo hotel units in the Village. Admittedly, the front desk and community management has matured very nicely. The Village units are producing solid rental numbers and the management percentage is considerably less than the Westin Monache. In 2018 there have been solid 2-bedroom sales in the $600,000+ range and 1 bedroom sales in the $400,000 + range. The high-end residential real estate market was certainly a surprise in 2018. Following the success of the Gray Bear subdivision homes the $1 million-and-up luxury home market was as strong as any of the mid-2000’s years. So far in 2018 there are 33 residential closings of $1M or more. There are likely to be another six or seven more. Some of these are spectacular homes. Many are what could be considered “bargains” — bargains considering the special lots and locations, the cost of construction replacement (the “custom” factor), the landscape and hardscape, the furniture and decor often included oil the sale, etc.. Most of these higher end homes are sold in quality to pristine condition. Overall the 2018 market activity was unusually strong in the early part of the year. I have often described January’s real estate activity in Mammoth as the “post holiday decompression,” which means almost non-existent. Not this year. We didn’t get that until summer. The first half was very active with upward demand and pricing. But the pricing did not last through the second half of 2018. The segment that the momentum and pricing reversal hit the hardest was the lower-end of the single family market. Properties priced in June and July sat on the market. Some are still on the market. Those that actually sold needed significant price reductions. These higher and lower segments of the local residential market behaved quite differently in 2018. Another surprise for 2018 is the potential of a condo hotel development in the Village. The even bigger surprise is that the development principals are the old (and original) Intrawest guys. Their new name is Replay. I believe that is a combination of Real Estate Play and actual Replay — they are back for more and want to see if they have the logic and the magic once again. They have already closed escrow on the “Dempsey corner” at Main and Minaret (where Nevados is). 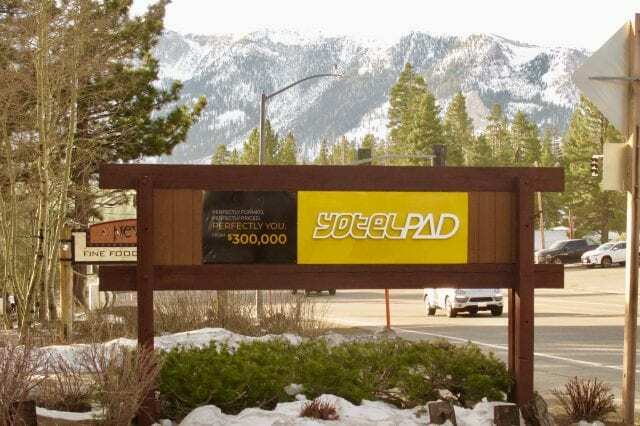 They are already building a branded YotelPad condo hotel facility in Park City. That is what they are proposing to develop here in Mammoth. The Yotel hotel concept has gained popularity around the world especially at major international airports. It is a hip, minimalist, “affordable” hotel brand that features smaller rooms and larger social spaces. The YotelPad brand is the condo hotel offering. Their Mammoth sales team is assembling as I write but we haven’t seen any of the development plans for approvals yet. But I’m sure we’ll see hype during this winter. If for no other reason than to test the water. But with the Westin Monache condo hotel units still selling at relatively suppressed prices, and now easily available ~2.25% CD/money market returns available, it remains a big “we’ll see.” And they know how much it costs to build in Mammoth. But I wouldn’t bet against these guys. Surprise, surprise. With the strong activity this past winter, we shall see if Mammoth has become a “winter sale” market as opposed to the traditional selling periods (fall and spring) of the more recent past. Back in the 1990’s and 2000’s several of the “old” brokers that worked in my company used to reminisce about how in the 1970’s they would basically take the summer off; traveling to Europe for 2-3 months, etc.. Back then Mammoth real estate was sold almost exclusively in the fall, winter and spring when the ski crowd was here (nobody came to Mammoth in the summer back then). So what will 2019 bring?? Some surprises I’m sure. 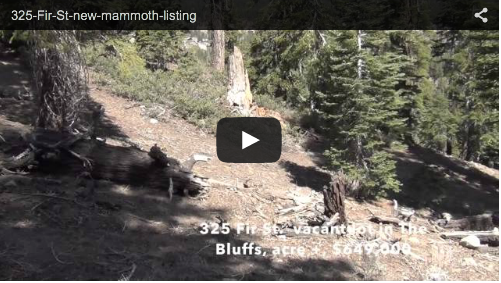 Will Mammoth return to a winter visitor driven real estate market like decades ago?? Will we see strong activity this upcoming winter like we saw this past winter?? Or is there larger macro economics coming into play? Will Airbnb rentals continue to be hot (especially as their renters realize how much they are paying in fees)? Or will a new phase of the transient condo rental paradigm emerge? Will luxury homes keep selling at a solid pace?? Will we even see some real appreciation in the luxury market segments? We’re about to find out…..